I love the visual interest that these frames all in the same color family create without being too apparent. What do you think? Too monochromatic for you, or just the right amount of diversion from white? oooo love the second photo. the gold frames pop, and seperate the white more so than having white frames. I love how the gold frames mimic the gold light fixture and door hardware. 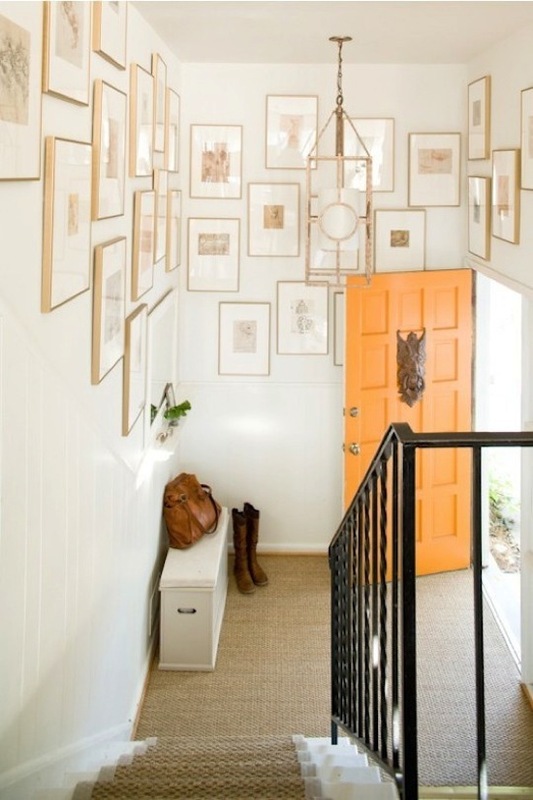 Very neat idea- keeping the frames the same color as the wall paint puts an increased focus on the images. Love! LOVE that 1st room Keely! Gorg! I love the white-cream-ivory look. Looks warm and still classic. What a perfect colour palate!!! I like the second one just for its little extra pop! I'm generally not an all white design person but that first photo is amazing...and something I would like in my home. Surprising! beautiful. i love the look of all white!! So stunning! 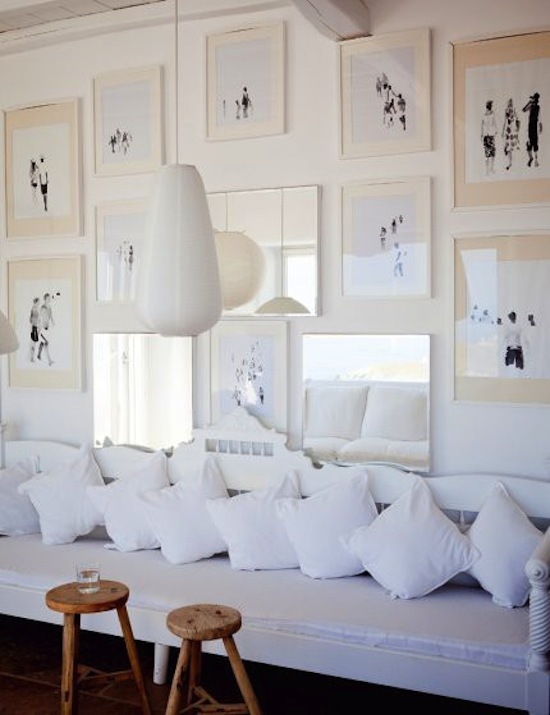 I have always thought that gallery walls full of similar images is so effortlessly chic and styled! I love white on white and want to do an entire white on white scheme in our guest bedroom. Just have to wait for our extension to be built first as that guest bedroom is currently our living room!